When deciding on your cake, there are a few factors to take into consideration. Will the cake be served in lieu of dessert, after dessert or as a take home favour for guests? Choose your flavour and the number of tiers you would like, remembering that the top tier is traditionally frozen and eaten on the first wedding anniversary. The fun part is all the sampling – visiting different cake designers and trying their various concoctions until you arrive on the flavour, style and design for your wedding. Bear in mind that you want your cake to reflect the style of your wedding - so for instance; a modern Seussian cake would look out of place at a vintage affair. What it is: An elegant, generally all-white cake with an understated design. Flowers made of sugar paste are popular accents. 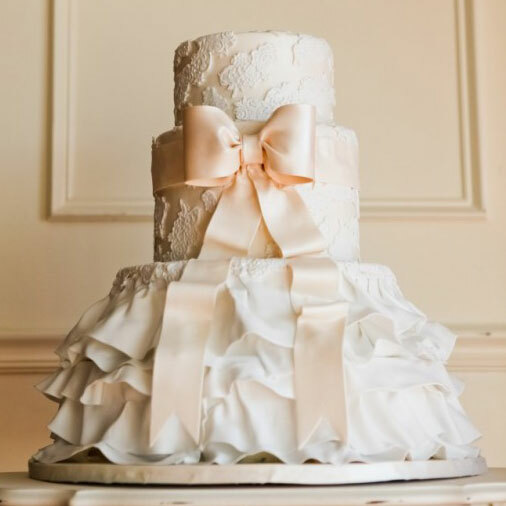 Typically, the cakes are composed of three to four inch high tiers (inside each tier are four layers of cake). One common combination is: red velvet topped with vanilla bean buttercream. What to know: No matter the icing you choose, the white colour almost never varies so don't try to match the shade to your off-white gown. A no-fail pick: pearlised white which emits a slight lustre. What it is: A modern take on the traditional cake – it's taller (tiers are four to six inches high) and design-heavy with repeated patterns on the sides or top. Taste wise, these cakes are usually bold. Flavours range from red velvet to hazelnut or even hummingbird (a variation of carrot cake with a twist of pineapple). What to know: You can ask for any design that piques your interest. A baker can create silhouettes of butterflies, birds, flowers and more by hand with a pastry cutter. What it is: A whimsical cake inspired by something sentimental like the motif on the wedding dress or one you’ve carried through the wedding stationery. Whereas modern cakes tend to feel structured, these are much less formulaic. What to know: Because these cakes are highly personalised, you'll need to work with the baker to develop a vision. Feel free to bring fabric swatches, a favourite quote or inspiring photograph. What it is: A laid-back creative alternative to the typical three-tiered wedding cake. An assortment of pies evokes a playful country mood or perhaps a series of cupcakes in lieu of one solitary cake could be more appropriate and also double as take-home favours for guests. What to know: Who's doing the slicing? Cutting pies can be tricky. If the guests will cut their own, choose pies with thick fillings like coconut custard, pecan and pumpkin. Cupcakes are definitely the better option for a more cost-effective cake and can be made to look as formal or relaxed as you desire. 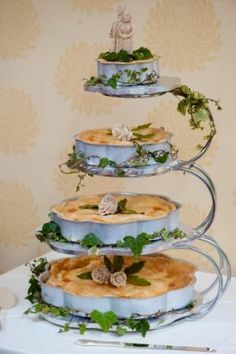 Tiered: A series of cakes of differing flavours placed on top of the other with room for flowers or decorations separating each tier (Usually each tier is on a stand with a space between each step). Cupcakes: Set on a tiered stand to mimic the shape of a wedding cake, can be as formal as you’d like & can be personalised easily. Layered: Layers of cakes similar to the tiered variety, but with no space in between. Emulates the shape of a tower and usually decorated with ribbons, petals and blooms or sugar-paste flower creations. Croquembouche: A traditional French wedding cake. A high conical shaped covered in profiteroles (cream puffs), macarons or recently, Ferrero Rocher. 'Naked' Wedding Cake: Similar to a layered cake but minus the fancy frosting and fondant icing, saving you significantly on the cost of the cake. This is especially perfect for rustic or country themed weddings and makes a statement on its own. The busiest months for cake designers are November to March so confirm your booking three to six months before the big day. Consider guest numbers to discern what kind of cake to have. A standard 3-tier will serve about 100 favour-sized portions so if you’re looking to serve the cake as your dessert, you’ll need to add another tier. 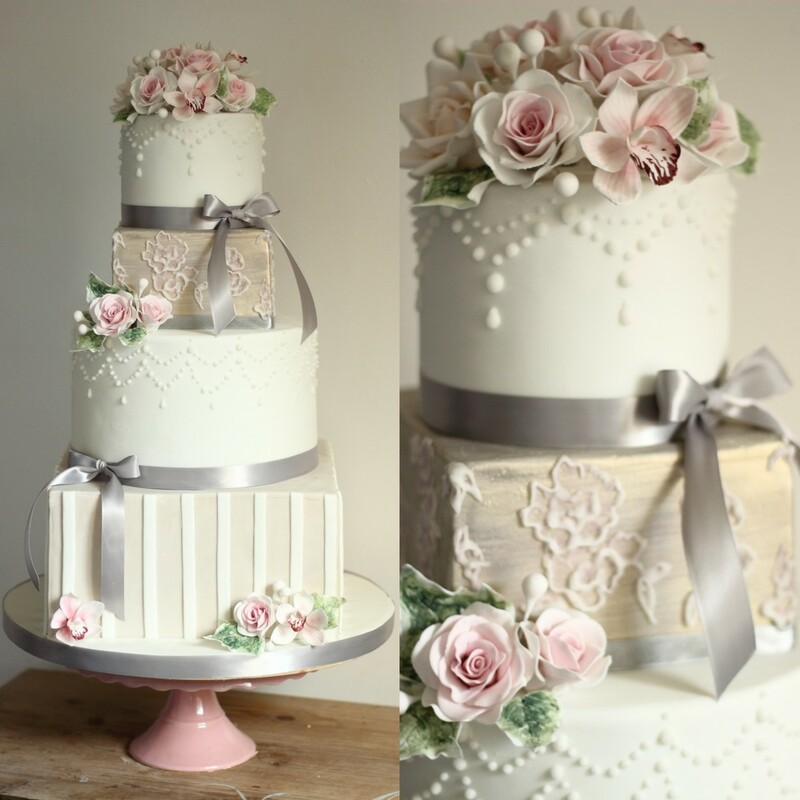 If you have a multi-tiered cake, choose a different flavour for each tier. Usually, it’s the top tier that is preserved for the first anniversary, and is usually a fruit cake which lasts much longer than any other standard variety. What is your experience with baking wedding cakes? Do you have a portfolio we can look over? 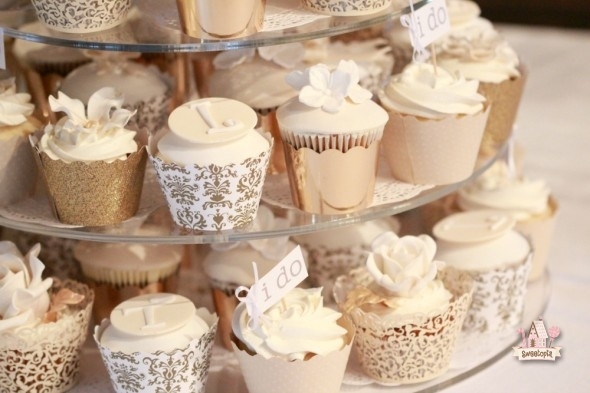 What are your wedding cake specialties? What flavours and fillings are available? Can you create custom-made cakes? If we choose to decorate our cake with fresh flowers, will you liaise with our florist or will we? How far in advance will our cake be made? Do you deliver to the venue? If so, what is the cost and when will it arrive?